A second time at BlizzCon and it was even better than last year. Why did I ever say you only need to go to big conventions like this once?! Well, it’s been agreed, if I can afford it, I need to go to BlizzCon all the time. This year was an absolute blast. It could be that I didn’t have to to fly all the way from NYC this time around. It could be the charming, adorable boyfriend I got to bring along with me this year. It could have been the largest BlizzCon Bottle Share that has happened to date. Hell, even Jessica Nigri’s cosplay is a level of awesomeness that sets this BlizzCon, this convention, just steps and steps ahead of many previously attended conventions. 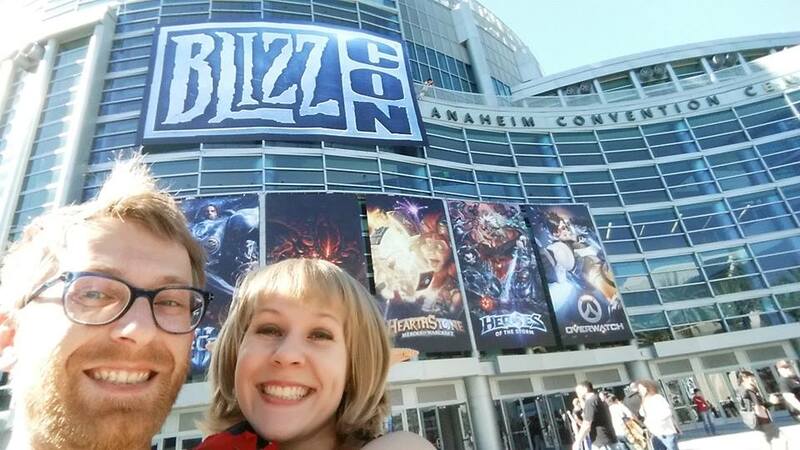 Taking Along a Cute Boyfriend – This year, for his birthday, I bought my boyfriend, Jeremy, a ticket to BlizzCon. He’s been into the Blizzard franchise much longer than me, and he’d never been to a true convention before. With my veteran status of convention attendance, I decided to initiate him to my life on the highest possible level – with BlizzCon! Needless to say, I think he enjoyed himself, and I enjoyed having a nerd in tow that was just as excited about everything as me. He tolerated my lengthy dressing process for Prescilla, waited in endlessly long lines, and even put up with standing while we watched the Heroes of the Storm Championships. He’s a good one. I think I’m going to keep him. Oh, did I forget to mention that we also did a couples cosplay?! OMG. First time ever for me, first cosplay EVER for him. We wanted to do something simple and comfortable, and we kind of wanted to be low on the radar. 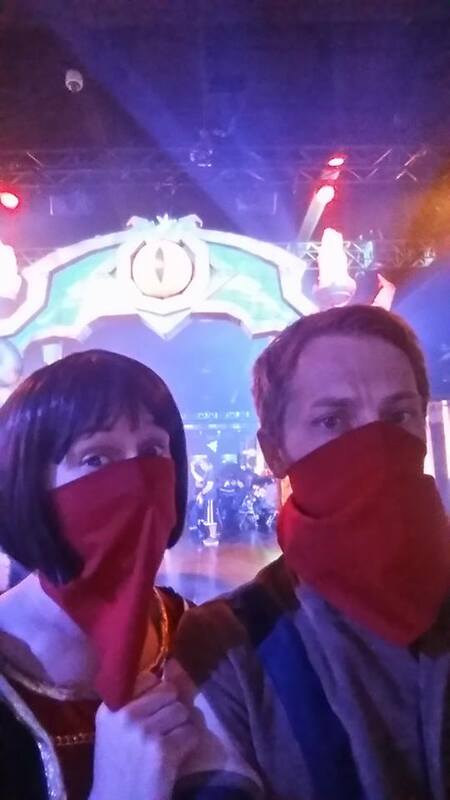 We went as the Defias Brotherhood – he went as the Defias Messenger and I went as a Defias Renegade mage. Both costumes were easy to put together and some people even recognized us! It was cool to just walk into a space, throw on the bandanna, and a bunch of people high-fived us and gave us smiles. Simple, yet satisfying. The BlizzCon Bottle Share and Swap – this is the second year I have been involved with this epic event. 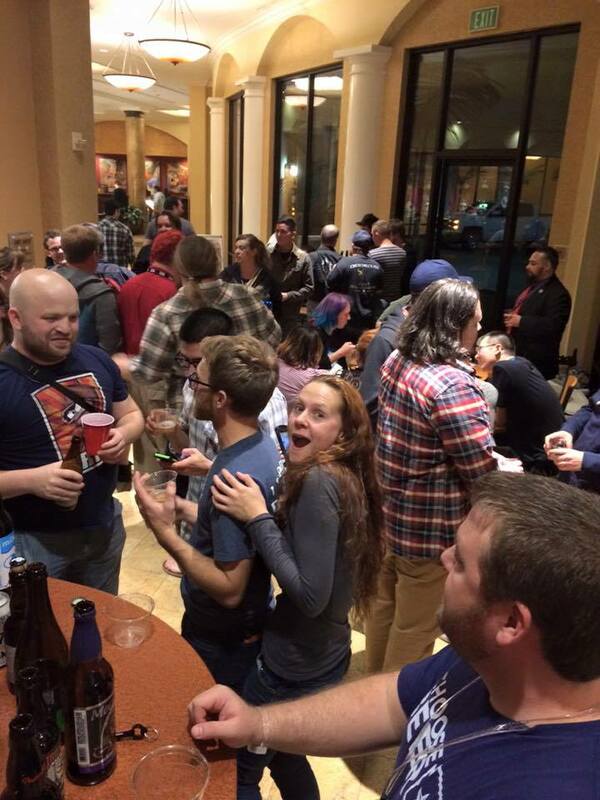 At a basic level, it is nerds gathering together to drink beer. On an epic level, it’s intelligent, respectable, friendly and gracious nerds gathering to open the rarest of brews from across the country (and the globe) to raise a glass and appreciate the greatest gifts the gods have given us – beer and video games. I knocked out a few of my beer whales at this party and reunited with some spectacular people. The Doubletree even let us utilize some space in the lobby because the evnt grew so large. There was Cards Against Humanity, good conversation, and the best of brews. Here’s to another fine year at the Share! Cheers to all that played a hand in bringing it together again! Prescilla 2.0 – it’s amazing how a cosplay character changes in the span of a year when you just throw a blond wig into the mix. In the past year, my Robe of Departed Spirits cosplay has received a slight makeover (Prescilla is a blonde now), a new backstory, and an awesome photoshoot with my new cos-photographer, AJ Brooks. I also took some time with her to go check out the BlizzCam 360 were we got this 3D view of my entire cosplay! AHHH! WATCH ME ROTATE FOREVER!!! 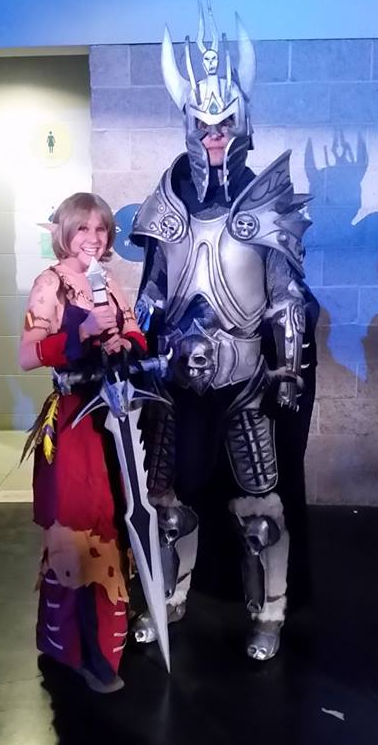 I also took this picture with an Arthas who had to have been like, over six feet tall. OMG I look so tiny. I’m super stoked in this picture because he told me I could hold the sword. Like a kid on Christmas. I then went on to take over the world. I honestly can’t think of a way to make this con better. Maybe if Blizzard decided to make it three days. I never have enough time to go do everything I want to. I ALWAYS miss the Cinematics, even thought they run all day. Maybe making more seating so people can watch the Championships without having to stand? The need like satellite seating areas around big televisions. I don’t think they anticipated how big the HotS tournament was going to be. Well, earth to Blizzard – it’s a big deal. Make more seating available. My feet hurt. Regardless, I will be back next year if I can procure the tickets. And we’ll be back with another awesome Blizzard-esque cosplay. Maybe something that lights up >.> I dunno, we’ll see!